Consider this fact- there is only 1 primary health centre to attend to the health issues of 44,597 persons residing in rural areas of Uttar Pradesh. Add to it, the scenario of dismal huge negotiation of doctors to practice in rural areas (which in most cases is mandatory), private practice which is largely unregulated and expensive and less medical colleges. The positive news is that technology has decreased the barrier between the urban and rural areas. 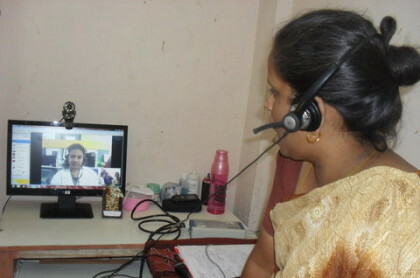 Given the financial and human resources constraints in India, telemedicine comes as an administrable solution to reach out to rural areas. The solution has been reiterated by ASSOCHAM in its sectoral paper-which invites telemedicine to be considered as serious solution to this continuous problem. The key issues, as implied in the said paper, have stated that the PM’s Digital India initiative can be a turned into a big success for the healthcare sector. The trigger to the situation would be the costs and adequate availability of Internet bandwidth, the paper has said. The paper also took into consideration in establishing a workable framework for telemedicine. It did clearly state that to make this implementable, it has to attract the both the vendors and patients; to invest their time and money. Bandwidth costs, training and maintaining personnel at the point of care centre increase costs while confidence of the patient is low when the doctor untrained in tele-health attends to them,” the ASSOCHAM Paper noted. The right amount of investment in removing the bandwidth barriers (more specifically the internet speed), is required. Also, a drive to implement telemedicine as a feasible solution needs to be considered on a significant scale. Past examples have provided effective results, implied ASSOCHAM in its discussion.